Startup Connect ShoeKonnect, have we connected yet? ShoeKonnect, have we connected yet? When one retailer wishes to expand, the only worry on his mind is buying the goods for the shop. It gets highly tedious to buy footwear as the retailer has to travel miles and miles to find the quality, quantity, and variety of shoes needed for the shop. Shoekonnect makes it easier by getting the manufacturer (industry) on your phone. However, with this app the retailer doesn’t have to spend a lot of money on travel and also doesn’t have to waste time. Shoekonnect makes it easy for both the retailer and the manufacturer. B2B (business-to-business) is marketing of products to businesses or other organizations for use in the production of goods, for use in general business operations (such as office supplies), or for resale to other consumers, such as a wholesaler selling to a retailer. And this is exactly how Shoekonnect works! Bingo! They trade or possibly deal with leather manufacturers and the retailers. 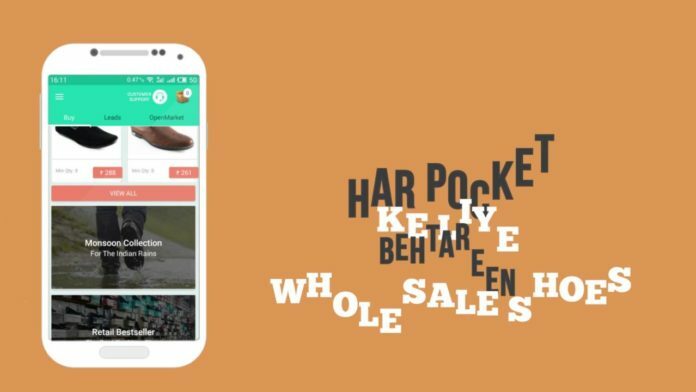 Shoekonnect is one app that eliminates the glitches in business, that is- eliminating the middlemen who have a brokerage between both the retailer and the manufacturer. 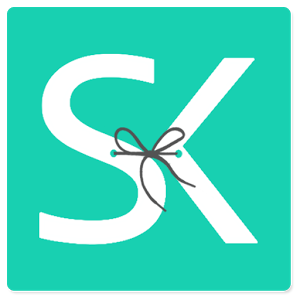 On this app, one can choose from a range of shoes and shoe accessories. There is zero need for a retailer to talk to a middleman to get the job done. The company connects footwear and leather products industry stakeholders. The retailer can directly connect with the manufacturer and get his job done in seconds. 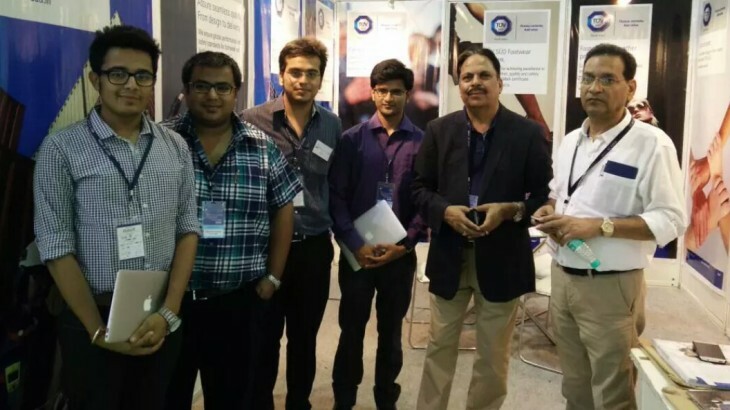 It is the first business venture of BizCrum, a company launched by three economic graduates. The founders, Siddharth Vij, Chaitanya Rathi and Siddharth Rastogi have a family background of footwear and apparel manufacturing. Watching their father’s struggle to get products at the best rate and of good quality, they decided to start with this venture and have made a sensational entry into the business considering they know how these businesses work.They also plan to launch apps that are similar to ShoeKonnect and make marketing easy for a common man! 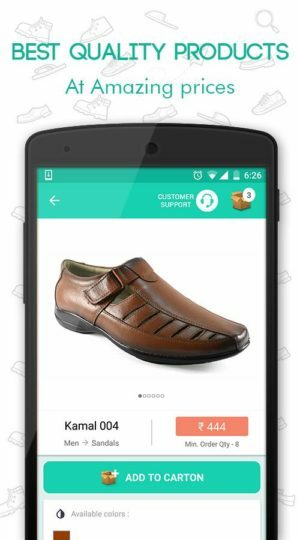 The company started a mobile platform, tailor made for the footwear and leather industry. 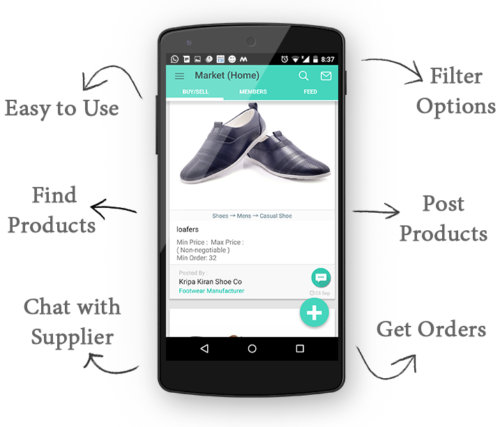 ShoeKonnect acts as a free trade platform, where it connects the businesses thru’ sign ups and communicate through chat and call through the app, through which they can finalize purchase or sales of shoe products in bulk and components. At present, ShoeKonnect – connects with almost 3,000 footwear businesses that include manufacturers, suppliers, traders and retailers from India and neighboring countries. The business transactions started almost two months back and it has a gross merchandise value of Rs 5 lakh so far. For now, however, the payment is directly collected by the company, it would be releasing a new update of the app next month with facilities to pay online using payment gateways. We at NewsAurChai wish you all the best with your venture. Read more Startup Stories in our featured section Chai Pe Charcha.